This Lemon Lime Bundt Cake IS my childhood. My mom would make this cake every Easter. 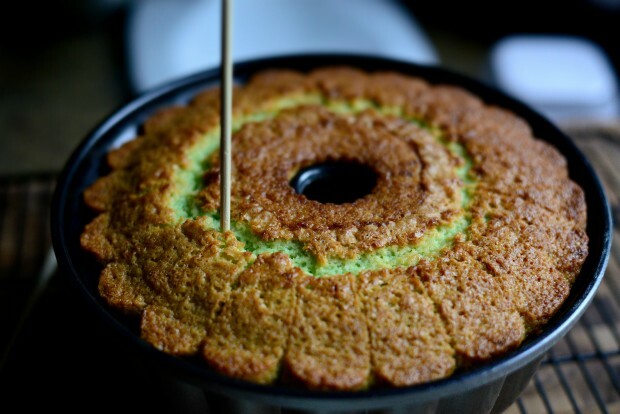 It’s a bright, moist and delicious GREEN cake! 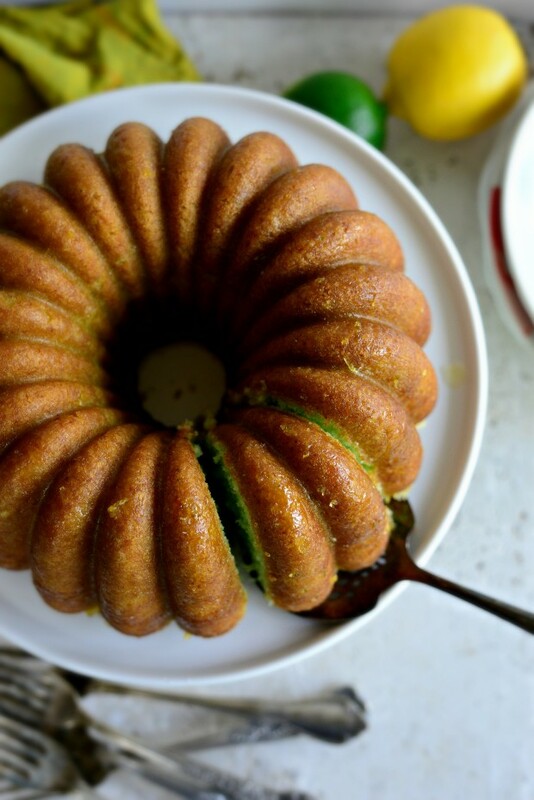 Lemon-lime heaven in Bundt form. This is one of my all time favorites of cakes. My mom has been making this cake since the beginning of time. It’s been around for every Easter Sunday celebration that I can recall while at the same time fronting as my sister Julie’s birthday cake. Since for many of years her birthday lands on Easter we celebrated both, with this cake. Lucky. 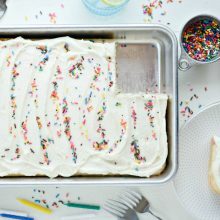 This is the perfect cake for any holiday, birthday, celebratory brunch or just because you feel like it. 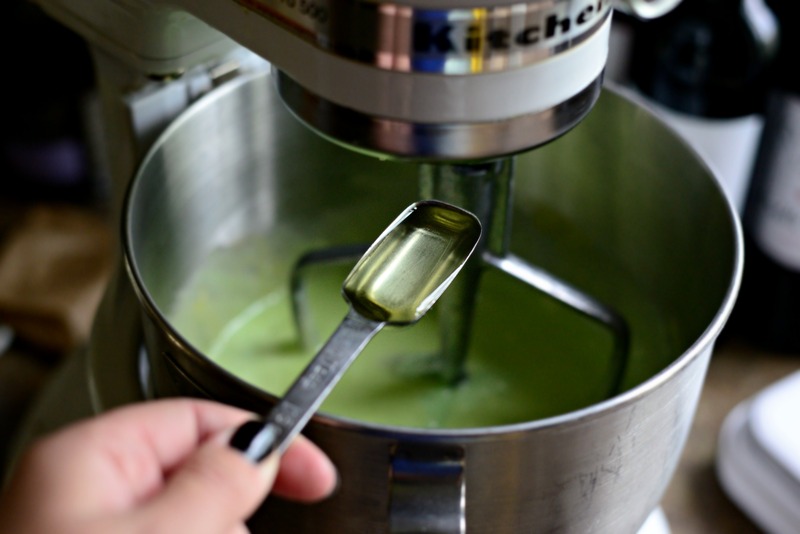 It’s super simple and uses my homemade cake mix and, okay don’t freak out on me, but it calls for a box of lime Jell-O. I know, I know… I know. 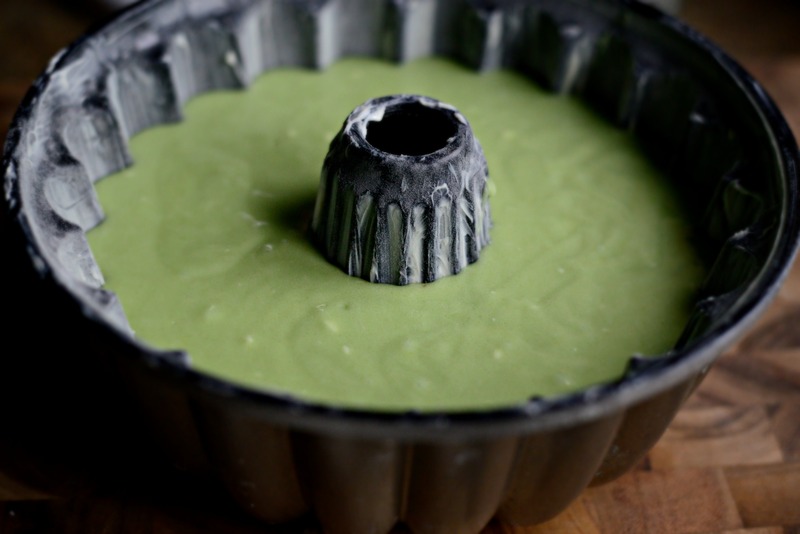 It is a retro-cake and all, and in the original recipe it also calls for yellow (store bought) cake mix, which I substituted this from scratch recipe and well, I haven’t figured out how to make my own lime Jell-O yet, so in the meantime… just use it. 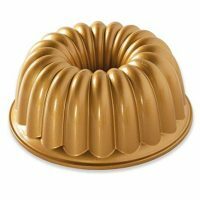 I know that you know that Bundt cakes are my favorite of allthecakes. This one is no different. It’s lemony, lime-y and it’s fluffy, moist and glazed. Yup. G-L-A-Z-E-D. 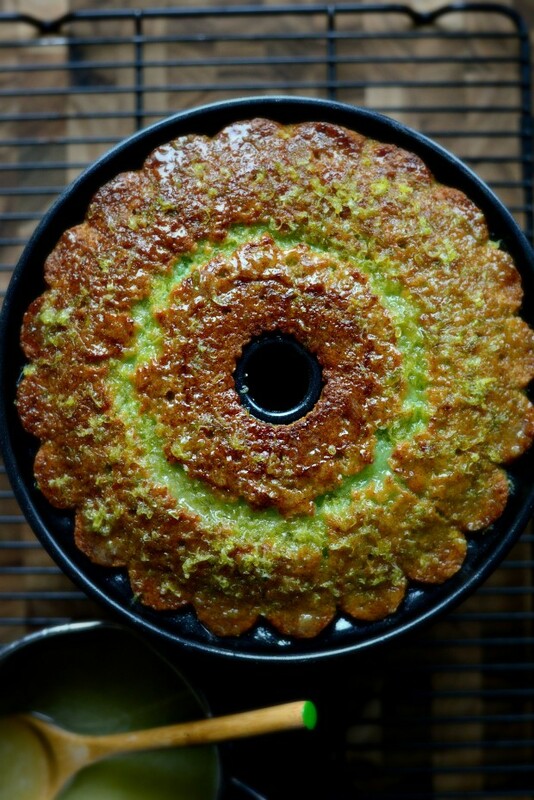 This cake gets bathed with a sugar, buttery, zest-filled liquid gold. I could go on and on and onnn about this cake, but I think you get the idea, this cake is YUM. But first, let’s get on with it and watch the amazingness unfold. Round up the cake mix, butter, Jell-O, grapeseed oil, lemon extract, eggs, lemons and limes, sugar and some water and bust out your mixer. Start by adding the cake mix to the bowl of your mixer. 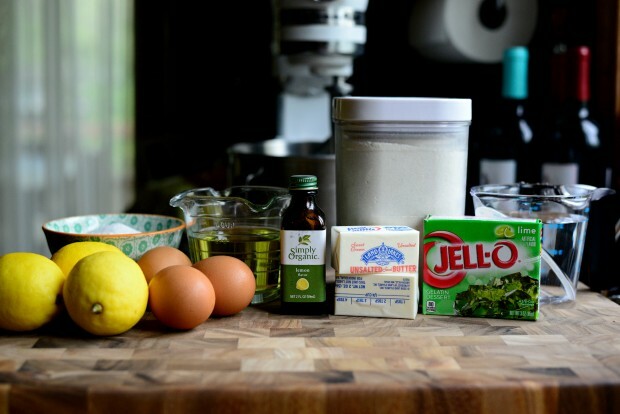 Add in the packet of Jell-O gelatin. Before mixing on medium-high speed until combined. 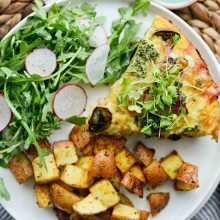 Tap on the counter a few times to release any air bubbles before sliding the pan into a preheated 350 degree oven for 50-60 minutes. Meanwhile, zest three lemons and 1 lime. 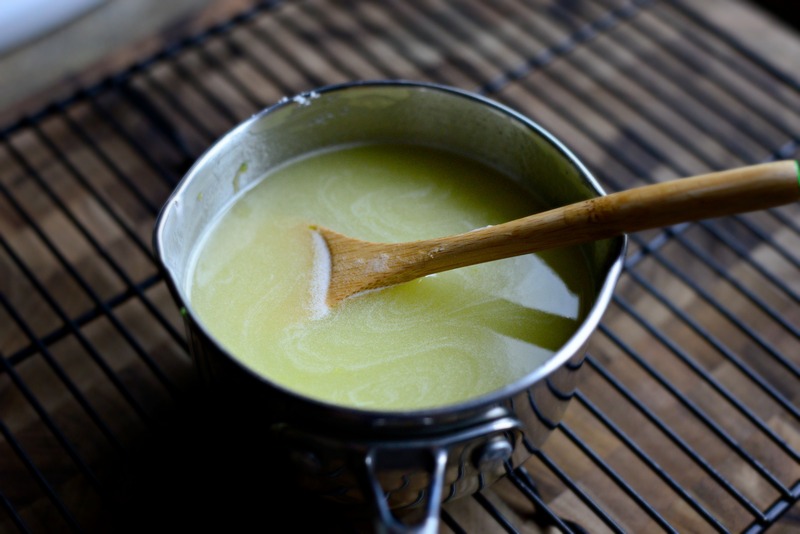 Add it to a saucepan with 1 stick butter and 2/3 cup of sugar. 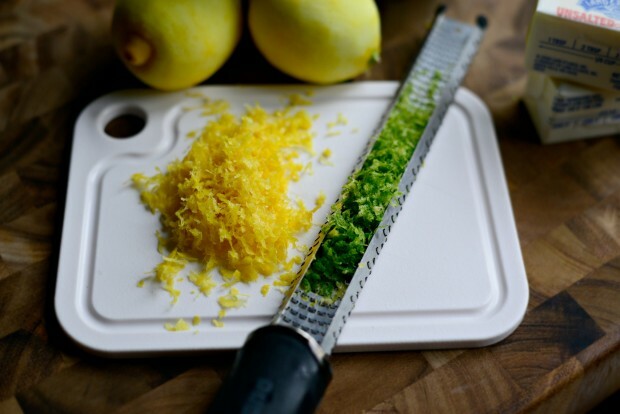 …and strain the juice from those 3 lemons and the 1 lime. It should equal around a 1/2 cup. Pour that into the sauce pan. Heat over medium to low heat and stir until melted. 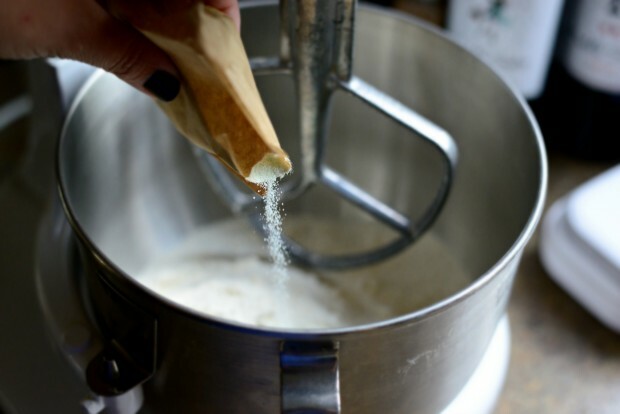 Next, bake the cake for 50 to 60 minutes or until a wooden skewer comes out clean with only a few crumbs attached. Use that skewer to poke a million (<— exaggeration) holes all over the cake. Then spoon half of the lemon-lime glaze over top. 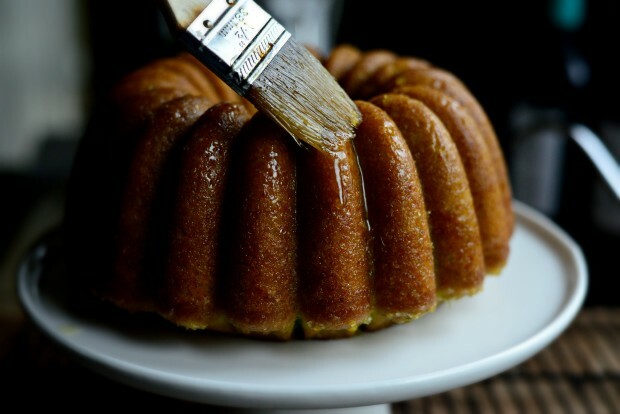 Finally, brush the glaze over the top of the lemon lime bundt cake, sides and in all the nooks and crannies. 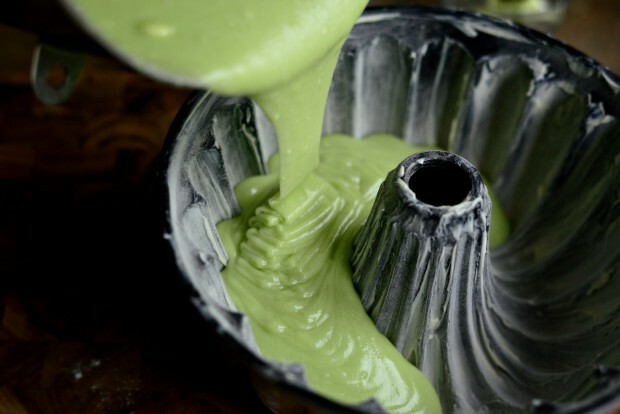 Repeat this step until you’ve used all the glaze, or you can save a little and spoon it over slices of cake. In the recipe my sister gave me, it says to allow the cake to sit for 6 to 24 hours before cutting into and serving. What-the-WHAT? But it’s true. The cake only gets tastier with a little time (and patience). I mean, seriously. Look at that glisteny goodness. 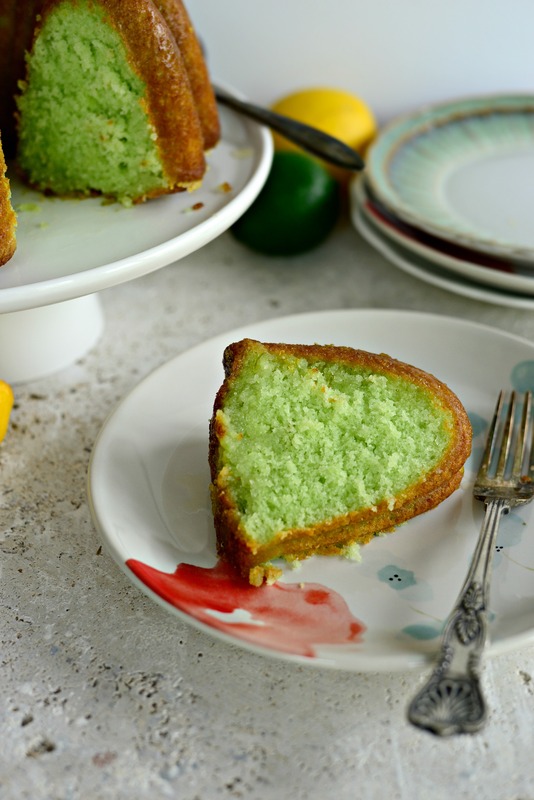 For all my fellow citrus lovers, this cake is for you! Enjoy! 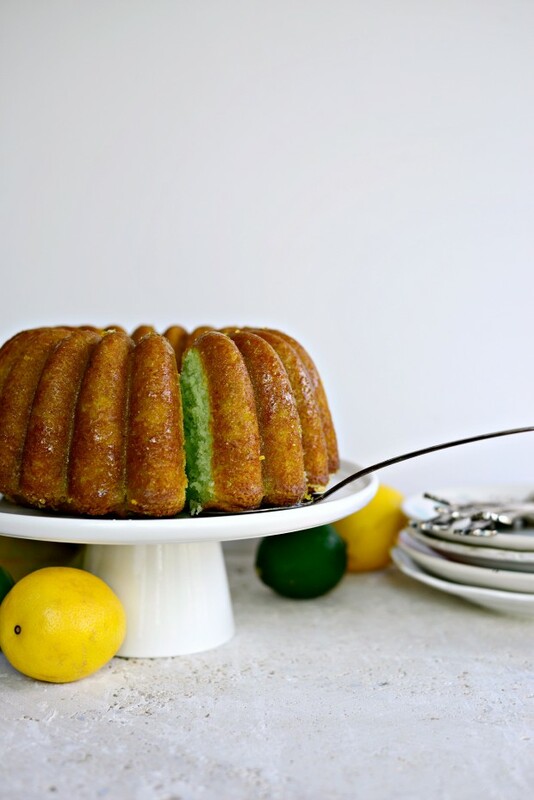 And if you give this Lemon Lime Bundt Cake recipe a try, let me know! Snap a photo and tag me on twitter or instagram! 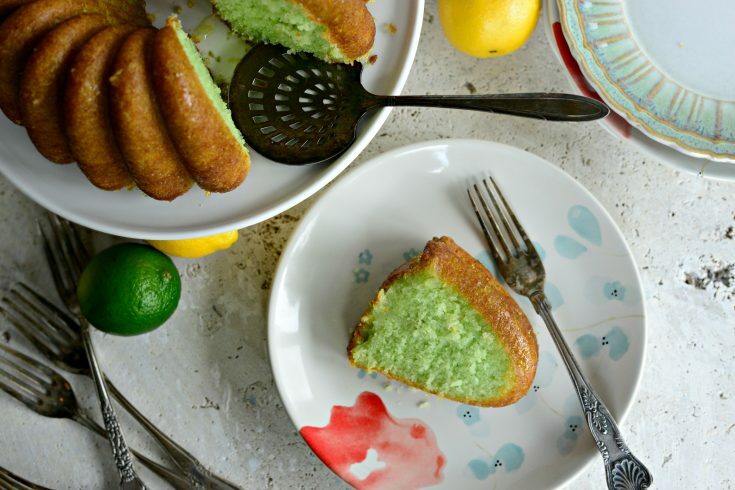 A extremely moist, melt-in-your-mouth lemon-lime cake. Preheat your oven to 350° and generously butter and lightly flour a 9-cup Bundt pan. 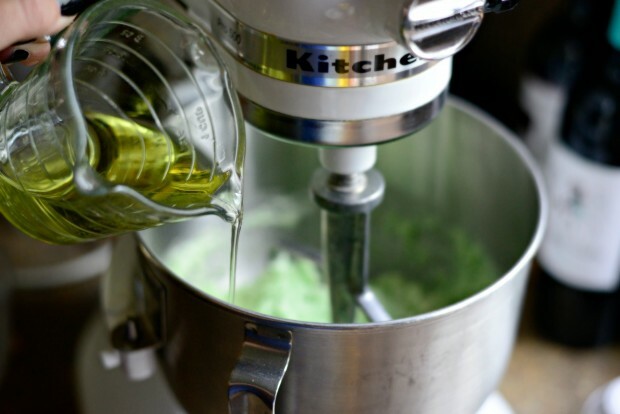 In the bowl of your stand mixer, add the cake mix and Jell-O. 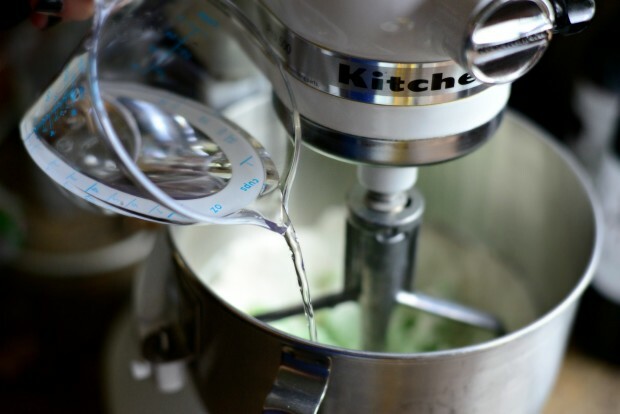 With the mixer on low speed gradually add the oil and water. 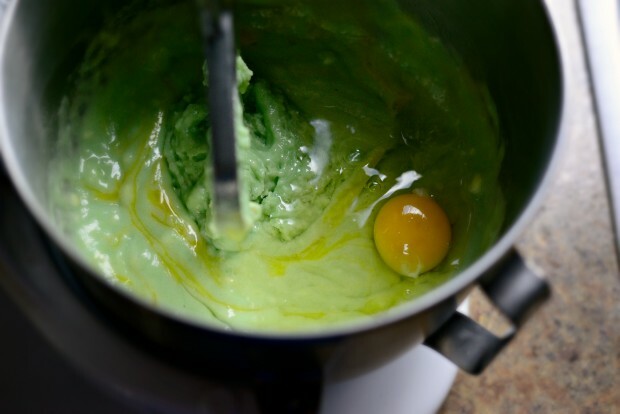 Add one egg at a time mixing after each one. 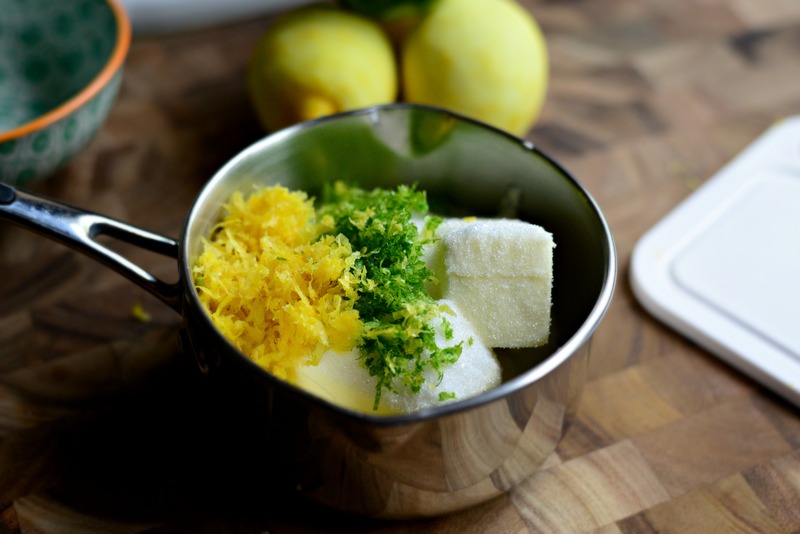 Add in the lemon extract and scrape down the sides of the bowl. Mix one last time on medium-high speed until combined. 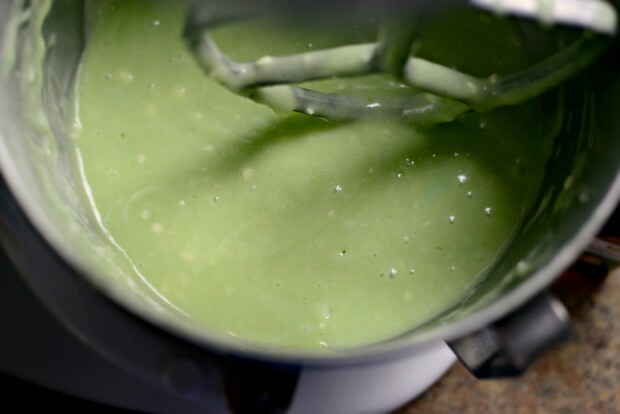 Pour the cake batter into the prepared pan and slide into your preheated oven for 50-60 minutes. 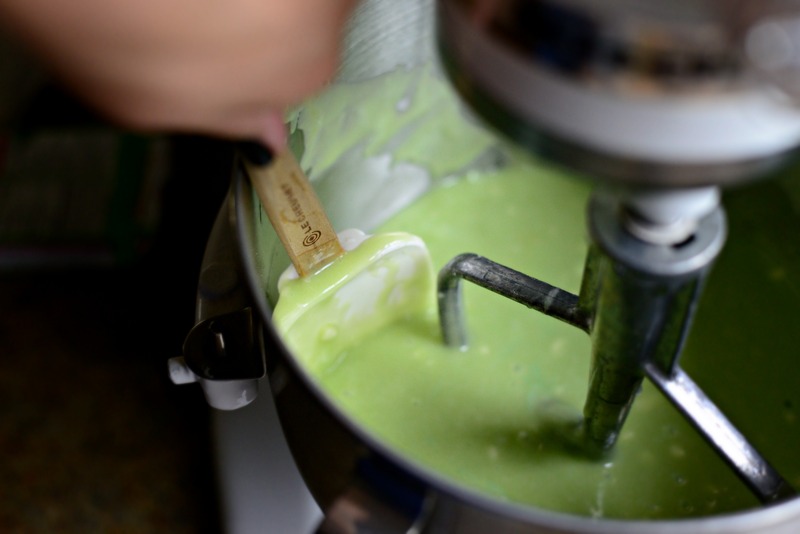 The cake is done when a wooden skewer is inserted and comes out clean with a few crumbs attached. In the meantime make the glaze. 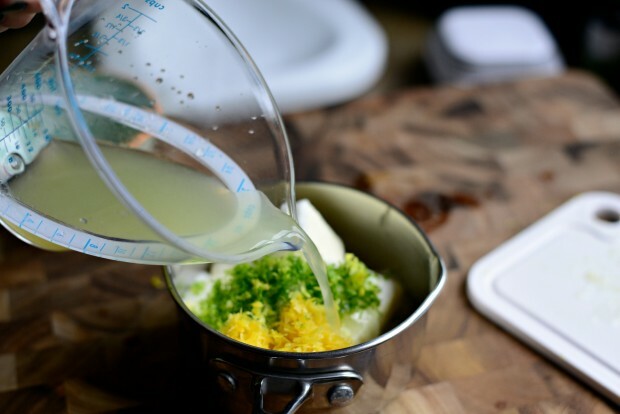 In a small saucepan add the butter, sugar, zest and juice. Heat over medium low heat, stirring until melted. 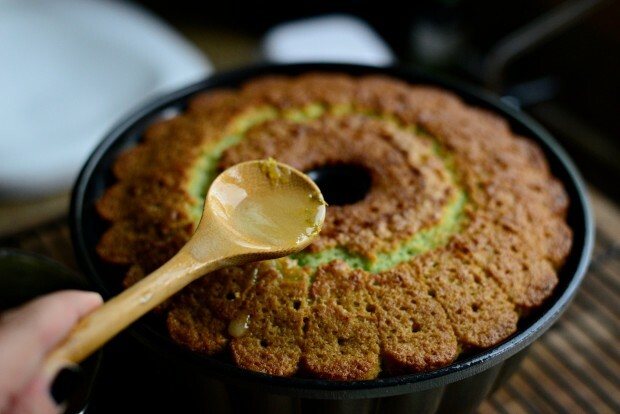 Poke quite a few holes into the cake and spoon half of the glaze over top. 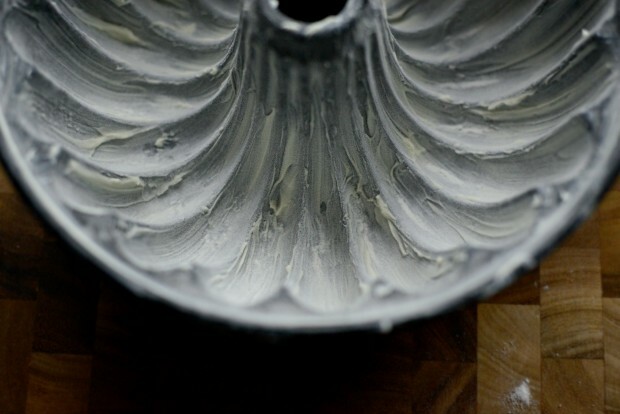 Once the cake has cooled for 10 minutes, invert it onto a cake plate or stand. Brush remaining glaze over the entire cake. 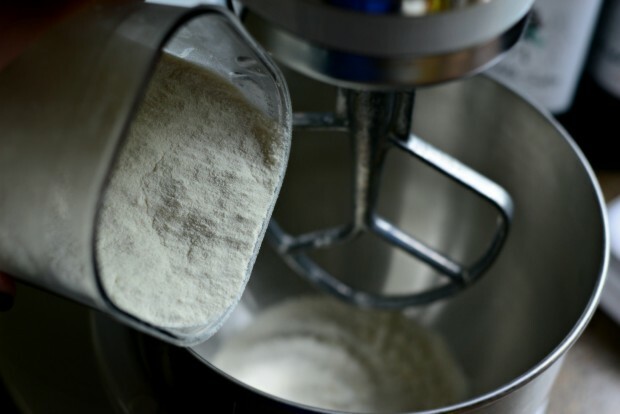 Allow the cake to cool 6 to 24 hours before slicing and serving. Such a pretty cake and your step by step pictures are always so perfect! The color of this cake is absolutely gorgeous! 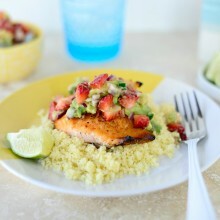 It looks so delicious! The color of that cake though. It’s SO PERFECT! 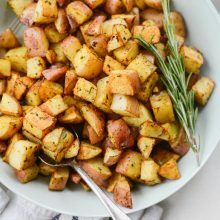 And I am a total sucker for ANYTHING with glaze, so I could eat 3 slices of this masterpiece! Pinned! I’d love to see this recipe revamped without the Jello included to avoid all the processed ingredients and artificial coloring. 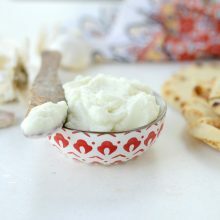 Do you think this could be done substituting zest or maybe lime extract instead? This must be so moist! The color is fantastic too! This was amazing…it puts the ZING in amazing!! 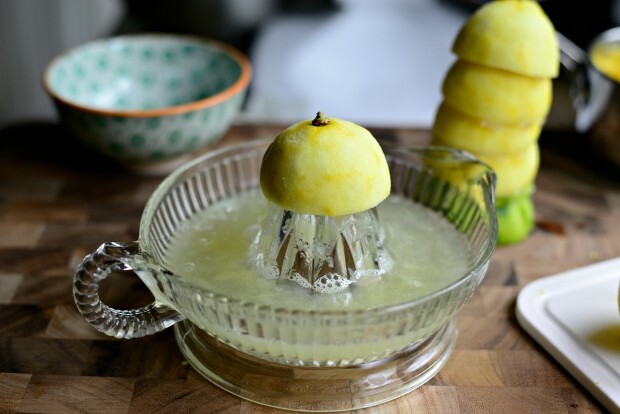 So easy, I had my daughters help with the zesting and squeezing so it was fun making it with them. 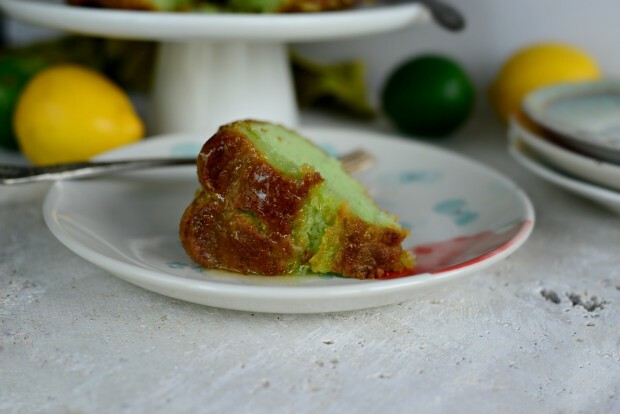 Really light and moist, beautiful color and texture, and perfect flavor, I was a little nervous with all the zest and juice and lime jello that it would be overpowering but it was so good. 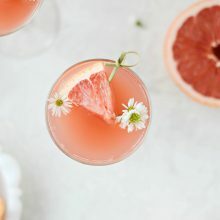 Perfect dessert for a warm summer evening. 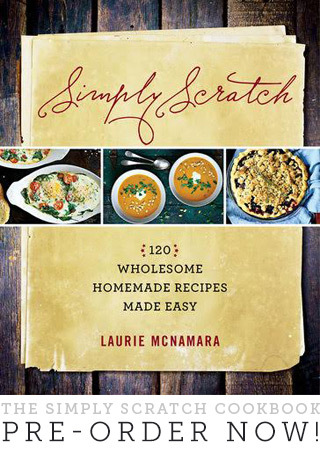 Thanks Laurie! Bummer, this tastes good, but despite putting shortening and flour in the bottom of the pan and greasing/flouring very well, half of the cake didn’t come out. It was still really hot at 10 min.–I guess I should’ve just waited longer? Hey Cat, I’m so sorry to hear this cake didn’t come out of the pan for you. How frustrating!! This happened to me once, when I forgot to flour the pan after buttering. 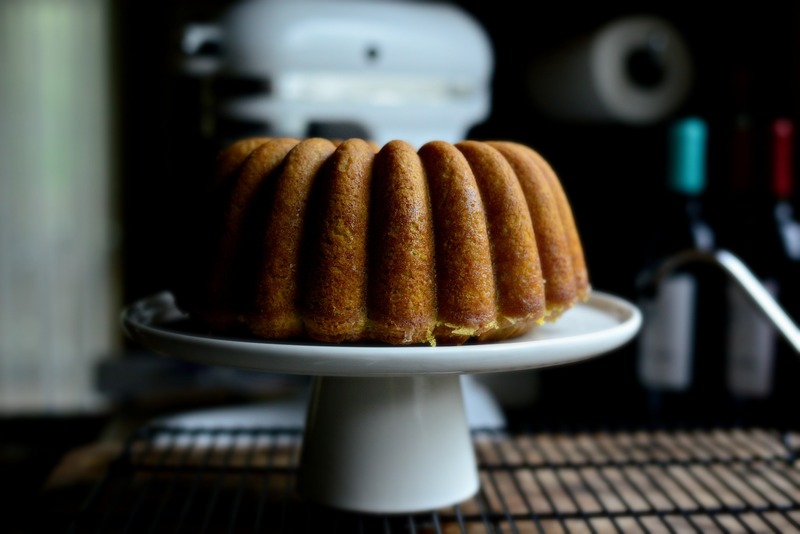 This may seem like a strange question, but how old is your bundt pan? I found this out the hard way once with muffins, but some non-stick wears off (although it may not look like it). 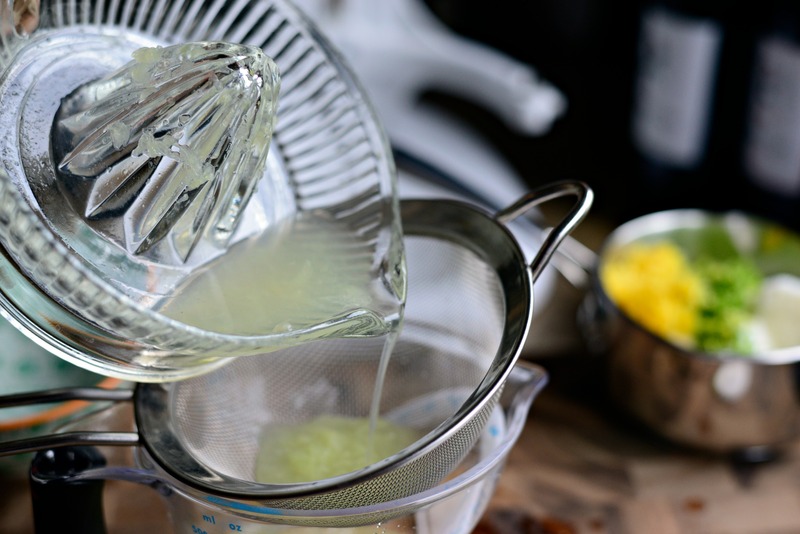 Also, I’m honestly not too familiar with shortening and how well it works to grease cake pans, that’s why I recommend butter in the recipe. I hope this helps and you give the cake another go! !